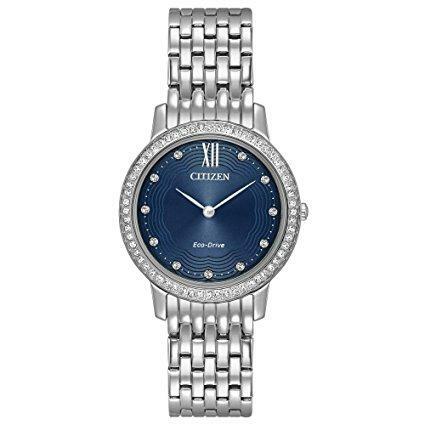 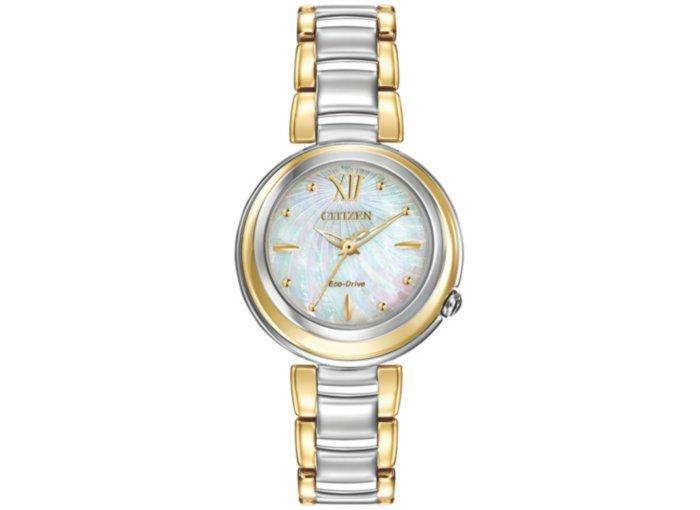 Citizen Eco-Drive Sunrise Womens Watch - EM0337-56D has an elegant white Mother-of-Pearl dial and sapphire crystal, the Sunrise series sets the standard for timeless womens fashion. 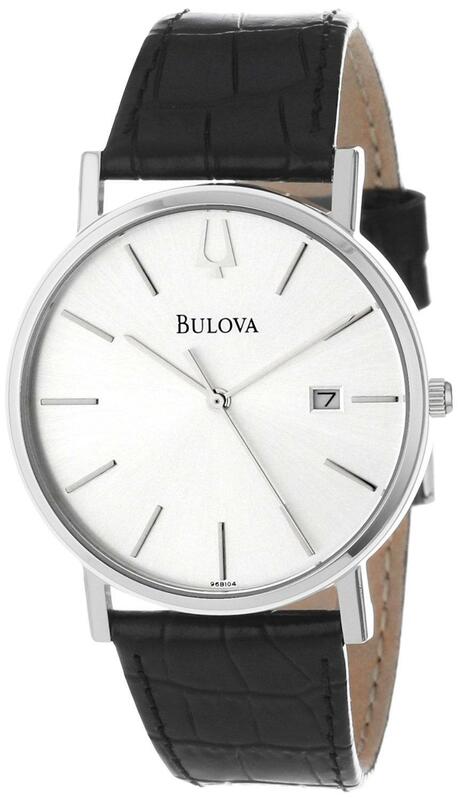 In a reverse two-tone stainless steel case and bracelet. 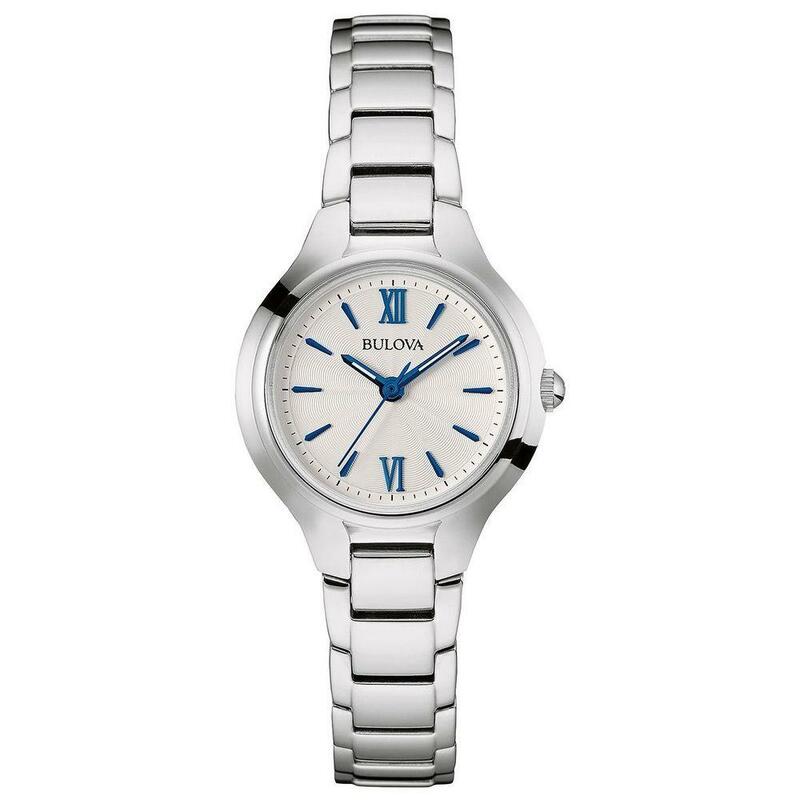 5 year manufacturers limited warranty.